The German retail giant is mulling a partial listing of its Russian business. Selling a minority stake in that attractive asset looks like a smart move. It could reduce the group’s debt and finance growth. But investors beware: the Russian economy is headed for a major slowdown. A cashier works at one of the top three cash and carry markets of Metro AG in Sankt Augustin near Bonn March 18, 2013. 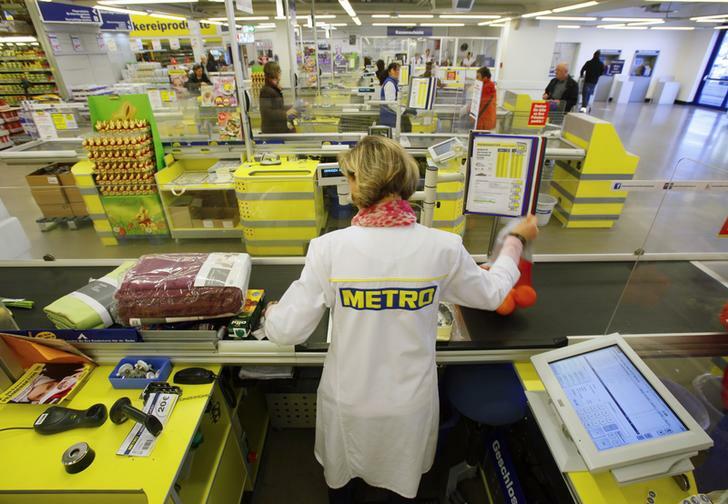 German retail group Metro said on Nov. 19 that it is looking at a partial IPO of its Russian Cash & Carry business. According to sources familiar with the deal quoted by Reuters, Europe’s fourth-largest retailer wants to list up to 25 percent of the business in a deal valuing the entire unit at 4 billion euros or more. The London listing may happen by the second quarter of 2014. Metro’s shares have increased by 9.4 percent to 36.31 euros since the plan was first reported. Metro Group’s sales have shrunk 2.2 percent in the nine months of its 2013 financial year. Adjusted for portfolio changes and currency effects, they grew by 0.9 percent, according to preliminary results published on Oct. 17. The company then said that it expects EBIT before special items will be marginally above the 2012 level of 706 million euros. Metro will publish detailed results on Dec. 12.